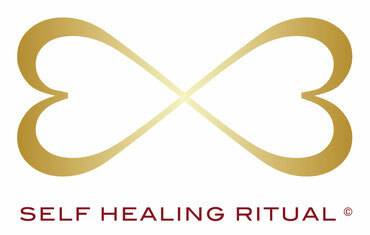 THE SELF HEALING RITUAL - self-companys Webseite! which gently invites your self - healing power, amplifies your self love and enhances your conscious connection with the soul level. This hands-on treatment provides a sacred opportunity to release tensions, heal what you are ready to heal, raise your life energy and go beyond your personal limits. The Ritual focuses on the Heart, radiating from there to the entire system. A deep regeneration of cells and organs happens while you experience tender healing touches carrying the transmission of a powerful light energy to open up the higher levels of consciousness. The SELF HEALING RITUAL also fosters a balancing of left and right brain hemisphere, putting you in touch with your creativity, intuition and helps to clear the next step in the divine play of life. A healing and sacred cocoon emerges where you experience a deep trust in life and in yourself. The Ritual leaves you nourished, refreshed, deeply relaxed and rejuvenated, at one with yourself and the world around you. The specific ritual-like structure, pro-active exercises and a space for sharing add to its uniqueness.